After a week of wet weather, the GSB community was able to enjoy a beautiful day on Saturday, September 29, for the annual Homecoming & Family Day. 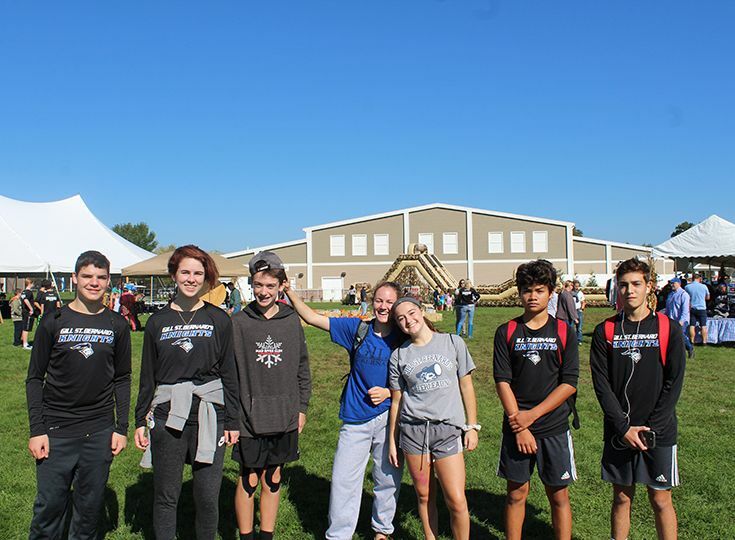 It marked a culmination of three days of activities, beginning with the inaugural Booster Club Home Winds walk on Thursday morning and including spirit day on Friday. With parent volunteers arriving as early as 7:30 a.m., the area behind the Field House was transformed from a grassy field into a festival with booths, games, and activities. Food ranged from a sit-down lunch in the tent, game-side concessions at the Booster Lodge, and—new this year—a dessert truck. 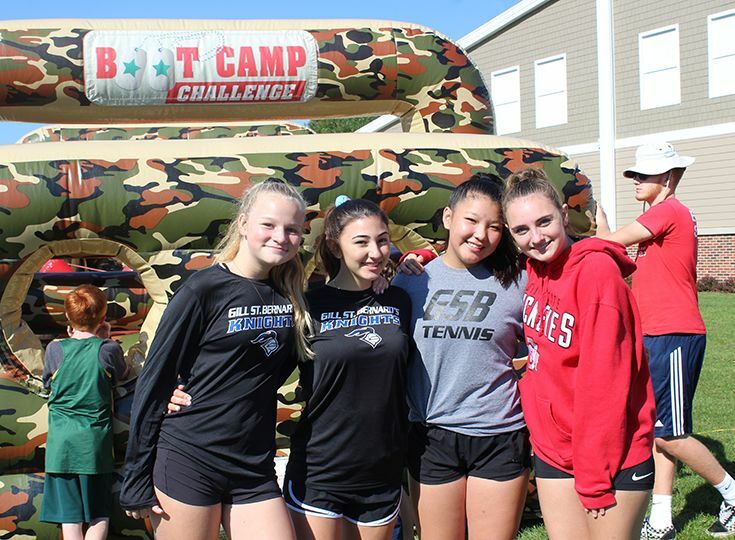 The Upper School booths, which raise money for student activities, including prom, featured the always-popular dunk tank, as well as face painting, cotton candy, and a high striker hammer game. Other popular booths included the Athletic Booster Club, which offered spirit wear; the Home Winds Farm display, showcasing linden flower honey made from the bees at Home Winds; and the Parents’ Association pie sale. 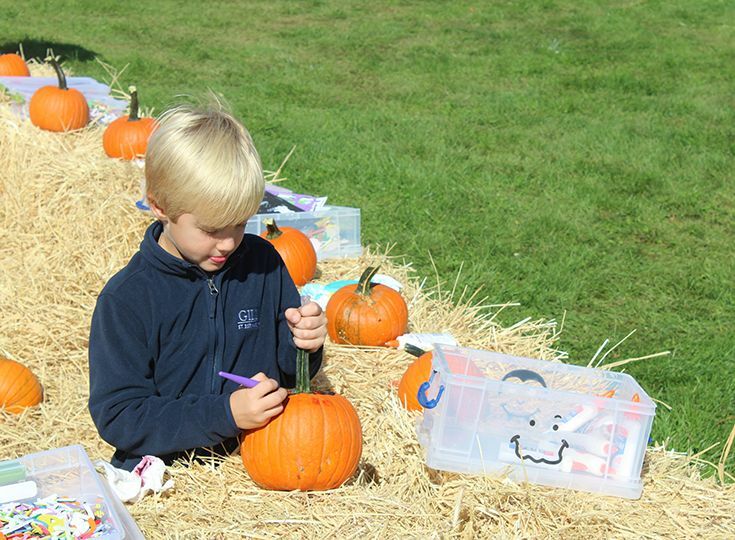 For the younger attendees, two bounce houses, a “Boot Camp” obstacle course, a pumpkin patch for pumpkin decorating and a the “Wheel of Teachers” made for a fun-filled afternoon. 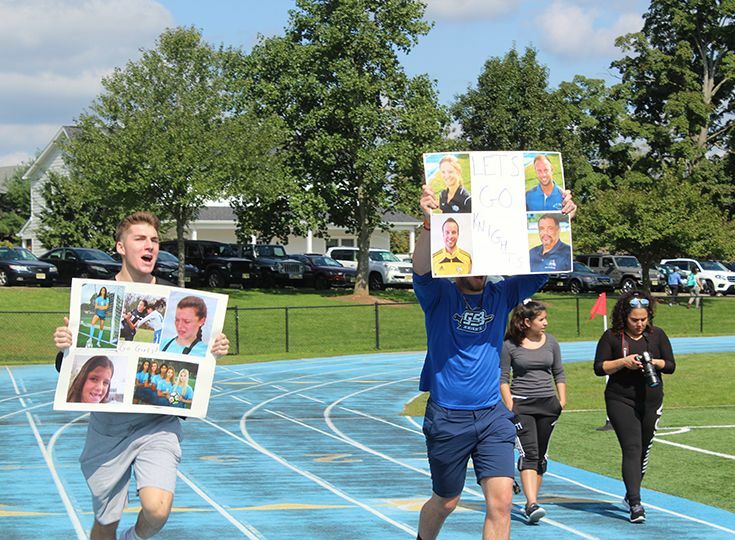 Beginning at 9:00 a.m., GSB teams took to the courts, cross-country courses, and the fields. From Middle School to Varsity, the Knights performed extremely well in front of the large home crowd. 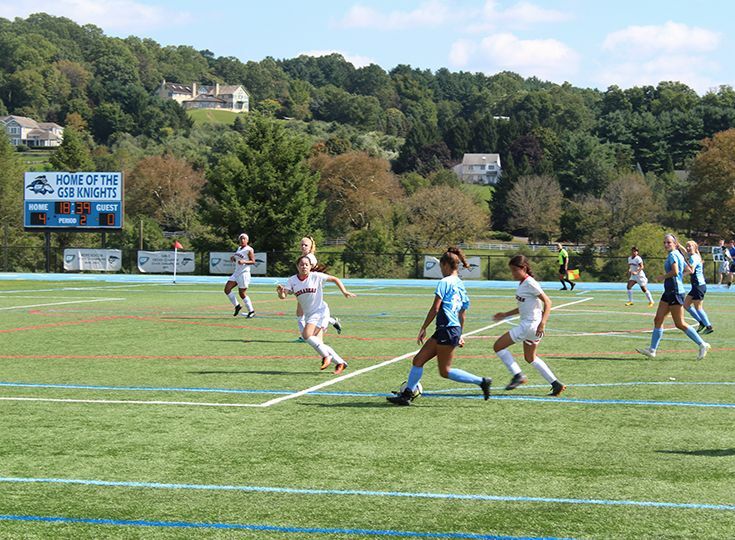 The girls’ varsity soccer team competed in the first round of the Somerset County Tournament as the Knights topped Bound Brook 4-0. Teresa Zimmer ‘20 led the way for Gill with a hat trick and Tess Kelly ’22 also scored a goal. Hayley Goldin ‘19 and Eve Ryan ‘19 each recorded an assist. The boys’ varsity soccer team fell to Princeton Day School 3-1. Tyler Merna ’19 scored the lone goal for Gill. Rounding out varsity play was the girls’ tennis team, convincingly defeating Sparta 5-0. Mayjah Jean-Pierre ’21, Ella Baker ’21, and Michaela Kroon ’22 all won their singles matches in straight sets. The doubles teams of Andree Aloise ’19 and Tori Goldin ’20 and Hannah Cohen ’19 and Alexis Meola ’20 also notched straight set wins. In JV action, the girls’ tennis team defeated Sparta 4-1 and the boys’ soccer team tied Princeton Day School 2-2. The JV girls’ volleyball team had its first-ever home match as the Knights took on Asbury Park. All of the Middle School programs faced off against Wardlaw-Hartridge. Middle School girls’ soccer had an impressive showing as the team won 8-0. The boys’ squad also won, posting a 3-2 victory. 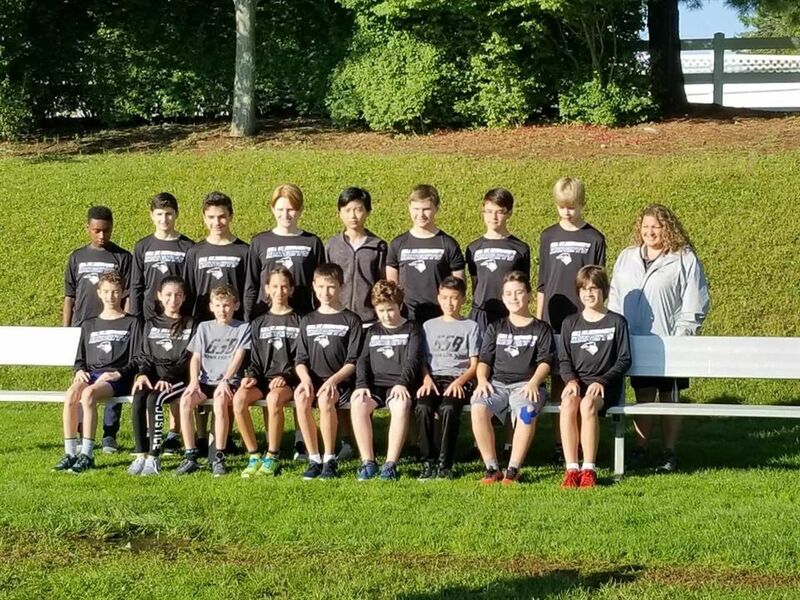 The girls’ tennis team topped its competition 4-2, and the cross-country teams also performed well as the boys’ squad won 19-36 and the girls fell by a score of 40-15. Thank you to all of the volunteers who helped make this day possible and thank you to everyone who came out and supported the school! Go Knights!